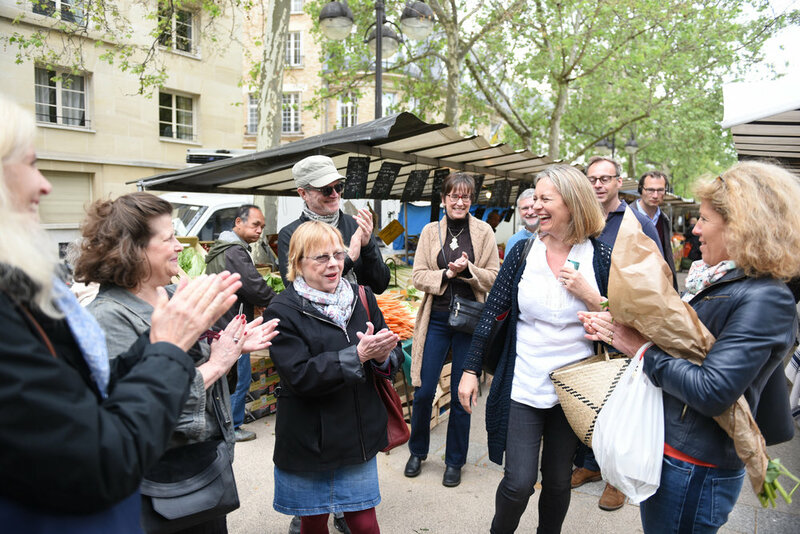 Explore a local French market for the freshest produce and learn about choosing the right ingredients for your meal. Join chef Veronique at the open air market or on Rue Cler (pedestrian market street) to pick up what we need to prepare our lunch. You will learn about the French gastronomic culture while picking out freshest ingredients and choosing the right cheese among many other items. Back in the kitchen, Veronique will show you how to prepare an authentic French meal using the seasonal ingredients chosen from her local vendors, followed by a sit down lunch. Lunch includes a cocktail, starter, main course, cheese, dessert and wine. Following lunch, Véronique will take you on a two-hour tour of various French chocolate, pastry, and bread shops, such as POILANE, the famous EPICERIE DU BON MARCHE, LA MAISON DU CHOCOLAT, and JACQUES GENIN, her favorite chocolatier, for a lovely chocolate degustation.